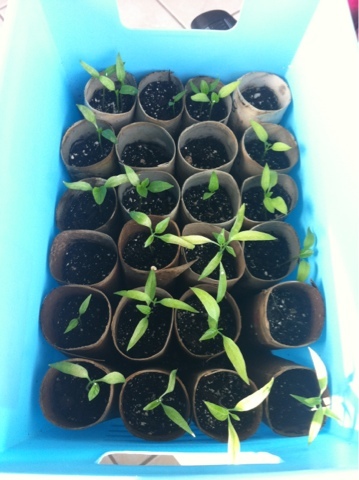 Two months ago Bre and I planted tomatoes, bell peppers, and jalapenos using 2 liters and toilet paper rolls. This week they are due to be transplanted outside, but with the preparation of going on vacation, storms passing through Tuesday, Saturday, Sunday, and the following Monday, outside temperatures (on Tuesday it was 80 and today, Thursday as I write this it is 40), and the fact I forgot to put a reminder on my calendar...which resulted in not enough pots and no soil, our transplant may have to wait until we return, so two more weeks of indoor living for these babies! These are our bell peppers and jalapenos, as you might be able to tell, our starters aren't very big, I've determined two things with attempting this: 1) I should have 'halved' the rolls and 2) the container they are sitting in is too tall. 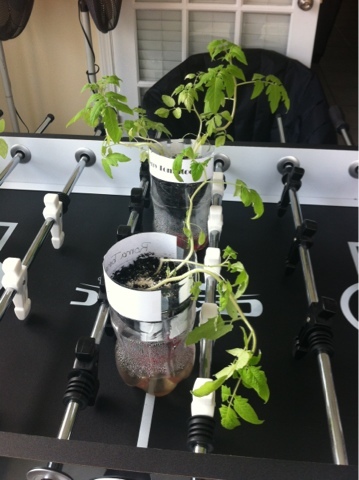 Our tomato plants did amazing in our 2 liters and overall I have to say I prefer this method of upcycle gardening versus the toilet paper roll starters. 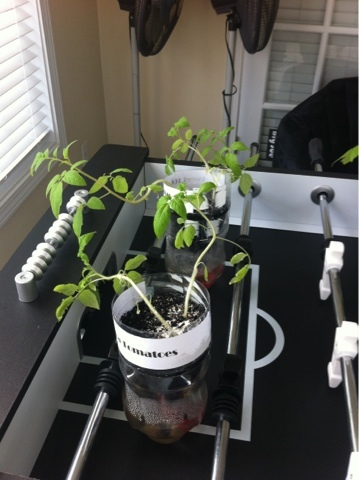 These 'almost' self watering contraptions worked great! The main lesson learned with this project was that my plan for 3 plants per 2 liter may have been too much, especially now that they are so big. 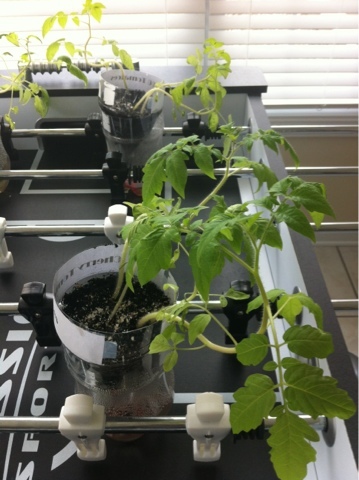 The plants appear to fight for water and they are beginning to choke each other out. Also many of my plants roots are so close to the top and now with their height, they are having difficulty standing up. 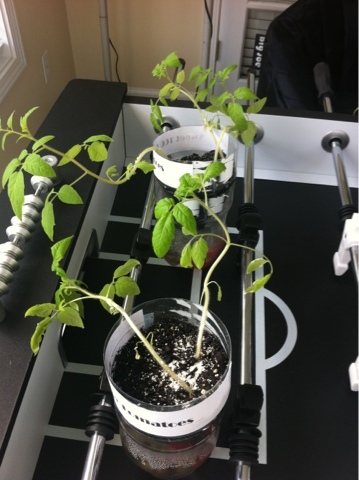 Unfortunately, they are going to have to 'live' this way for another week or so until we return from vacation and I can get them transplanted and staked. I have been preparing all of these plants to transition to outside by placing them outside for a few hours each day to get acclimated. 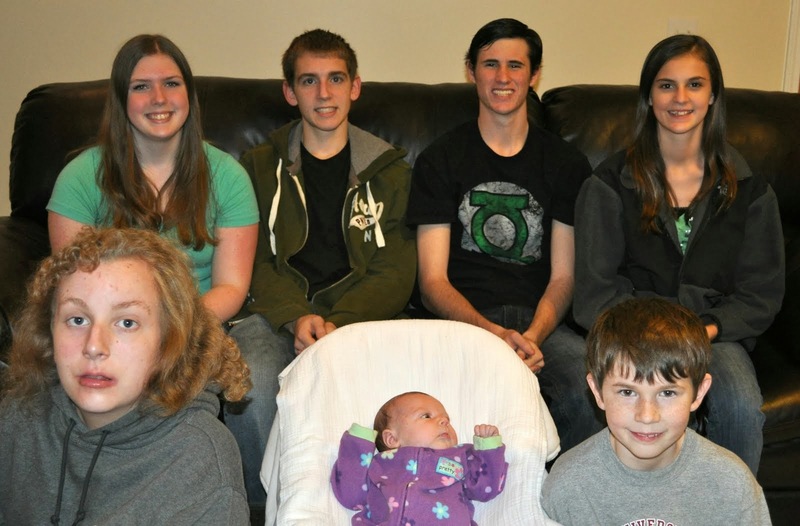 Here is hoping all them survive while we are gone and survive their transplants.